(1) I'm hosting a fun giveaway that hasn't received a lot of entries yet. This means your chances of winning a copy of Celebrate Every Season with Six Sisters' Stuff are really, really good! Thick and glossy, this cookbook retails for $22.99. It's full of yummy recipes, easy crafts, and fun ideas for every season of the year. Whether you want this for yourself or for Christmas giving, you have to enter to win. Take a look at this post for more details. Good luck! 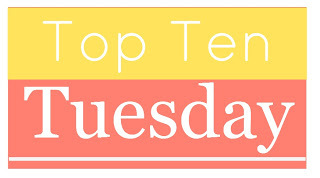 (2) Top Ten Tuesday is a fun weekly meme. It's a great way to discover new blogs, give some love to those you already visit, and, of course, add some intriguing new reads to Ole Mount TBR. To join in, all you have to do is click on over to The Broke and the Bookish, read a few guidelines, make your own list, then have a good time hopping around the book blogosphere. If you want to add some pizzazz to your Tuesday, TTT is the ticket. 1. 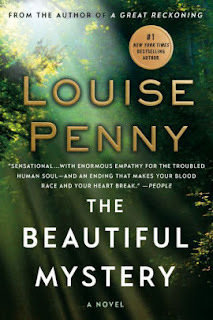 The Beautiful Mystery by Louise Penny—I adore the Chief Inspector Gamache series, so it's not surprising that both installments I read this year made it to my favorites list. All the books are excellent. This one, eighth in the series, is an especially intriguing "locked room" mystery set in a remote monastery that does not allow visits by outsiders. Until a monk turns up dead. Gamache and his right-hand man are called in to find the killer. 2. 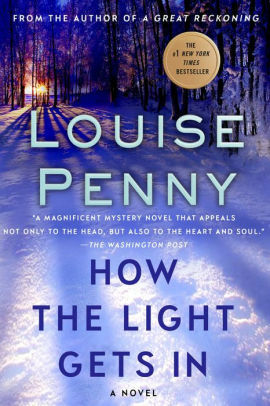 How the Light Gets In by Louise Penny—This mystery, ninth in the series, revolves around a dead woman who—Gamache is surprised to discover—is not just any old lady, but a celebrity with a very, very interesting history. As he investigates her murder, Gamache also has to deal with personal and professional turmoil, all of which make this novel difficult to put down. 3. 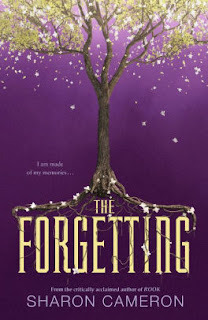 The Forgetting by Sharon Cameron—This was the first book I read in 2017 and boy, did it start my reading year off right! This YA novel is unique and intriguing. The less you know about it going in, the better. Trust me, though, it's worth the read. 4. 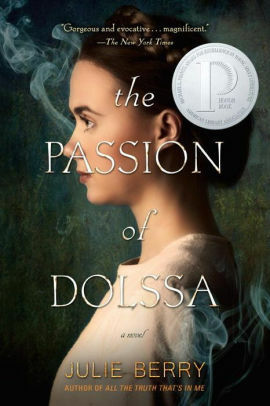 The Passion of Dolssa by Julie Berry—I read this one, an even more unique YA novel, because it was nominated for a Whitney Award. It ended up winning in the YA General category and also being selected as a Michael L. Printz Honor title, neither of which surprised me at all. It's a lovely historical that's interesting, exciting, and well-written. 5. 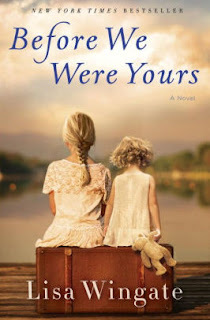 Before We Were Yours by Lisa Wingate—Adoption stories always reel me in, and this one was no exception. The novel tells a heartbreaking story based on the real-life antics of Georgia Tann, a money-hungry woman who basically sold babies for her own profit and gain during the 1930s and 40s. Ultimately hopeful, it makes for an engrossing read. 6. Worth the Wrestle by Sheri Dew—I loved this inspirational book about wrestling with your questions and doubts. Dew writes in an uplifting, engaging way that just speaks right to my soul. This is a life-changing book, which I absolutely adored. 7. 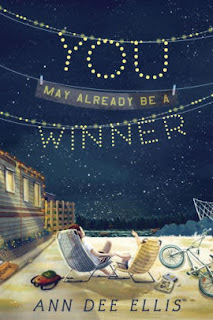 You May Already Be a Winner by Ann Dee Ellis—I enjoyed this quirky MG novel set in a locale (Provo, Utah) with which I'm very familiar. It's about a young girl living in a trailer park who dreams of winning the lottery and making a better life for herself, her mother, and her younger sister. 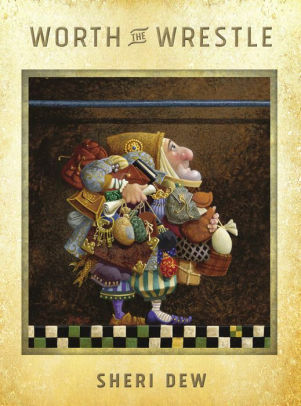 It's a sweet read about appreciating what you have—even, maybe especially, when it seems like you don't have much at all. 8. 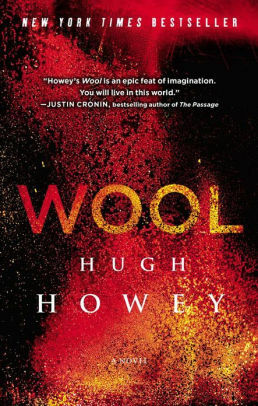 Wool by Hugh Howey—This dystopian chunkster may look intimidating, but it's actually very readable. The world it introduces is complex and fascinating. I loved immersing myself in this one. 9. Lemons by Melissa Savage—This MG novel is as bright and enjoyable as it sounds. It stars two Bigfoot hunters who make a startling discovery right in their own backyard! 10. My Bonny Light Horseman by L.A. Meyer—I've long been a fan of the irresistible Jacqueline "Jacky" Faber. Her adventures never fail to make me smile. Since her creator passed away suddenly in 2014, I am reading the series slowly, savoring each book, knowing there will be no more. This one, sixth in the series, is just as delightful as all the rest. There you go, my Top Ten. You can see the other 12 books I enjoyed most this year by scrolling to the bottom of my blog and checking out the titles on my "Books Read in 2017" list that have asterisks. So, what do you think of my list? Have you read any of these? What were the best books you read this year? I'd love to know. Leave me a comment on this post and I will gladly return the favor. I haven't read any of these but The Forgetting is definitely on my need to get to list. The Forgetting and The Passion of Dolssa are both on my five-star list this year, and I enjoyed My Bonny Light Horseman and Rapture of the Deep (I guess I'm not taking those as slowly as you are). I also thought The War that Saved My Life and The War I Finally Won were pretty impressive. Happy holiday reading! I'm glad we agree on so many books :) I read THE WAR THAT SAVED MY LIFE last year, I think, but I haven't read the sequel yet. I've heard good things, though. It's really good. Very honest and timely, I think. Plus Sheri Dew is so personable when she talks and writes that it's like she's speaking directly to you. I love her! I haven't read a whole lot of YA this year, but The Passion and The Forgetting look really interesting. Particularly The Passion, I don't think I've ever read any historical YA! Really? I love YA historical. This one's set in Medieval times, which isn't a period I usually read about, but I really loved it. 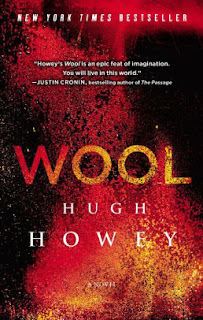 I have Wool on my TBR (and my Kindle) - I have heard so many amazing things about it! It's really good. Also really long! It takes some patience, but it's worth it. The Forgetting and The Passion of Dolssa are on my TBR list, so I hope I like them as much as you did. I do, too! They're both really good. The Forgetting is on the top of my list for the beginning of the year. I need to read it! You do! It's a good one. You'll probably see all the plot twists coming with your witchy plot predicting ways, but you should still read it! Ha ha! I'm glad you're finding lots of new books :) If I have copies of the ones you're interested in, I'm happy to lend them out. Just let me know! I will be reading Before We Were Yours for a book club in 2018. Yay! I have wanted to read the Inspector Ganache series, but haven't started it yet! Great list! It's a good read. Heartbreaking, but also hopeful. You definitely need to read the Gamache series. It's one of my all-time favorites! They do, don't they? DOLSSA does have an especially eye-catching cover, doesn't it? It's understated, but intriguing nonetheless. I just discovered the Inspector Gamache series this year, and I put Still Life on my list. I'm planning to read the rest of the series ASAP! Here's my list from today. I just read the first 2 books in the Inspector Gamache series and I loved them! I heard the series gets better as it goes along so I'm really looking forward to continuing with it! 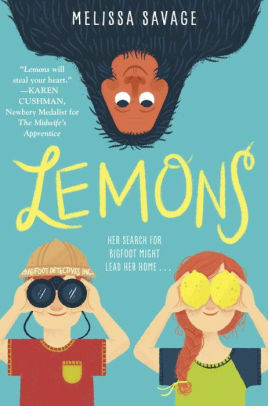 I've heard great things about Lemons and now I need to add You May Already Be a Winner to my TBR. I love quirky MG! Yes, the series definitely gets better as it goes! I've loved all the books I've read so far. LEMONS is a fun one. YOU MAY ALREADY BE A WINNER is also really good. It's definitely quirky, but also realistic and hopeful in the end. Definitely adding some of these to my list! Oh, good! I'll be interested to hear what you think of the ones you read. The Passion of Dolssa sounds like a really interesting book. 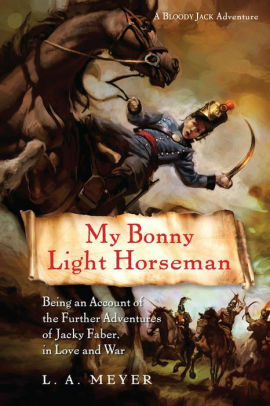 Even though I teach history, I don't read a lot of historical fiction. Non-Fiction, yes, lots but historical fiction almost none. Hmmmm. But, honestly this sounds really good. LEMONS is cute. The Bigfoot theme is fun. I never watched the t.v. show you're talking about, but it does sound entertaining! Ha ha. I read a fair amount of historical fiction, but I usually avoid the medieval period for some reason. I really liked DOLSSA, though. It kept my interest and Berry's prose is really lovely. If you try it, let me know what you think. 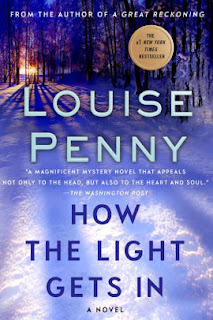 I read my first Louise Penny this year and enjoyed it. I plan on reading more of her books next year. Wool is on my TBR. I picked it up in a charity shop this year, and still haven't got round to it yet! I hope you'll find a new book to love somewhere on this list! I've seen lots of good things about Before We Were Yours. It's on my list. And I've read Dolssa, and thought it was good too. I'm glad you loved DOLSSA, too. Not many people have read it, but it's SO good! 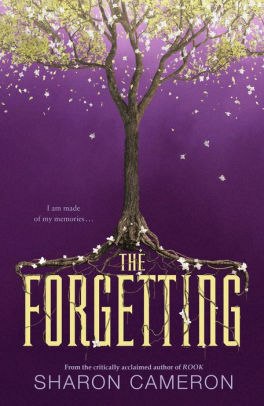 I haven't read any of these but The Forgetting sounds like a good one and the cover is gorgeous! It is good and, I agree, its cover and that of its sequel are both super pretty.